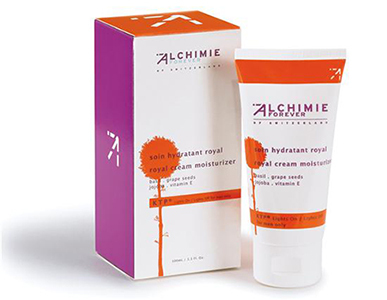 Nourishing, rejuvenating, and sebum regulating, Royal Cream Moisturizer for Men penetrates rapidly, leaving the skin effectively hydrated without feeling greasy. The men of Ancient Greece discovered the natural healing properties of basil, which they called the “herb of Kings.” Used daily, this moisturizer leaves the skin rejuvenated and supple. For normal to dry skin types. Particularly pleasant in cold climates. Apply to cleansed, towel-dried face morning and evening.